After Paris, Copenhagen was the European refuge for American jazz musicians fleeing racial and sometimes political oppression in their homeland in the postwar years. Ben Webster is buried there (in the same cemetery as Søren Kierkegaard), Dexter Gordon and Johnny Griffin locked horns there. Such greats created a solid local scene, which continues to produce some exceedingly fine musicians. 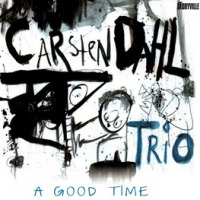 Carsten Dahl, a truly great pianist, started out modeling his playing on that of Bud Powell, active in the Danish capital in the early '60s. It could never have been easy to be a bassist in the shadow of the phenomenal Niels-Henning Ørsted Pedersen (who played with Powell at the tender age of 15), butMads Vinding has now come into his own. He has played with all manner of visiting American greats, including Benny Goodman, Stan Getz, Sonny Stitt, Herbie Hancock and Wayne Shorter. As for Alex Riel, he was house drummer at Copenhagen's legendary Montmartre jazz club in the 1960s going on to play with Bill Evans from 1965-66. In Our Own Sweet Way was recorded live at the Jazz House, the Danish capital's present musical mecca, between 2005-2007. Dahl describes the sessions as "very spontaneous... straight ahead fun." Vinding says, "The key word for our playing is interplay." Riel ventures the opinion that the gigs were "like being on a playground with your best buddies." Typical Scandinavian understatement, of course. No mention of either the supreme technical skill required, or the uncanny, almost telepathic ability needed to anticipate and relate to your fellow musicians. The main focus is, of course, on Dahlsometimes guilty, as was Art Tatum, of throwing a little too much technique into his playing. Still, on Dave Brubeck's enduring "In Your Own Sweet Way," he makes generous allowance for solos by Vinding and Riel. It's followed by "Maria Gennem Torne Går," a Danish Christmas carol and a standout track, with some beautiful, sensitive playing by the leader, fine accompaniment by Vinding, plus some nice background effects from Riel. Vinding states the theme on Jimmy Van Heusen's "It Could Happen To You," which Dahl then takes apart and reconstructs, deftly managing to avoid references to Bill Evans. There are more delicate pianistics and a fine bass solo on Donald Kahn's lovely ballad, "Beautiful Friendship." "What Is This Thing Called Love"one of two Cole Porter numbersis taken at a cracking lick. At one point Dahl drops out completely to allow Vinding and Riel to do their respective things. Then he retakes control on Horace Silver's "Peace," lacing his playing with dazzling treble runs, before lending support to Vinding's solo. Dahl's introduction to the closing "Night and Day" is so totally way out it verges on a descent into chaos. But at the last minute, Dahl returns to reality, hinting at the theme amidst an almost discordant jumble of notes before expertly stating it right out and putting things back on course. Vinding plays a humdinger of a solo, Riel cuts loose and the CDas all good things unfortunately mustcomes to an end. 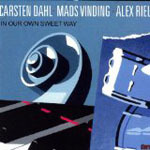 Track Listing: In Your Own Sweet Way; Maria Gennem Torne Går; It Could Happen To You; Beautiful Friendship; What Is This Thing Called Love? ; Peace; Night And Day. 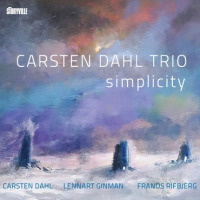 Personnel: Carsten Dahl: piano; Mads Vinding: bass; Alex Riel: drums.